EU and Japanese leaders agreed on a free trade deal on Thursday (6 July) and emphasised the importance of shared values in a snub to US president Donald Trump a day before the G20 summit in Germany. 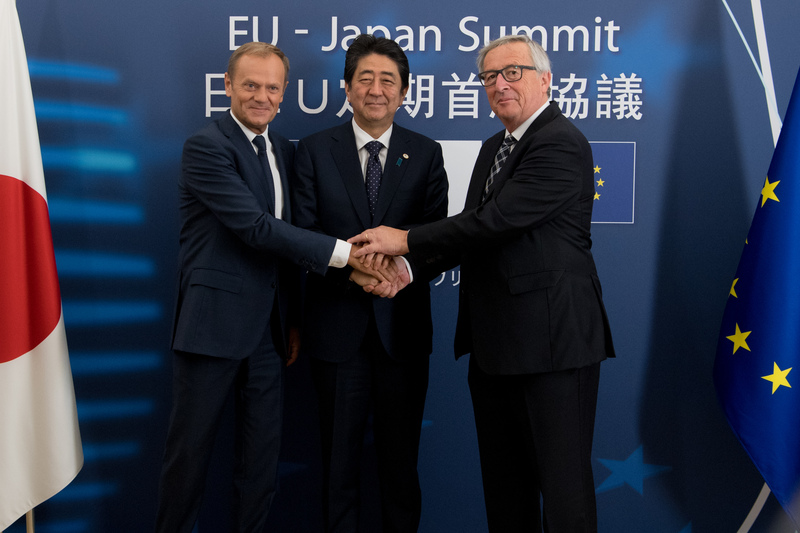 Japanese prime minister Shinzo Abe met with European Commission president Jean-Claude Juncker and European Council chief Donald Tusk in Brussels to announce the political agreement. The two sides, which are responsible for over 30 percent of the world’s GDP and 40 percent of global trade, hammered out the agreement after Trump’s decision to pull the US out of the 12-nation Trans-Pacific Partnership (TTP), giving new impetus to the EU-Japan talks that started in 2013. The leaders hailed the agreement as evidence that free and fair trade can go hand-in-hand, and that protectionism has no winners. The agreement “shows that closing ourselves to the world is neither good for business, nor for the global economy, nor for workers,” Juncker told reporters at the press conference of the EU-Japan summit. “There’s no protection in protectionism,” he quipped. Tusk said the agreement was possible because Japan and the EU share the same values. 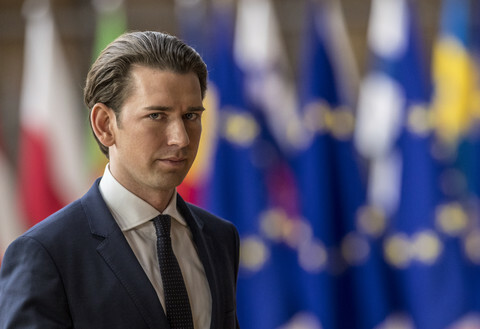 “It is, above all, about the shared values that underpin our societies, by which I mean liberal democracy, human rights and the rule of law,” he said. Highlighting the need for a level playing field and a rule-based system, leaders also sent a message to China, which is often accused by critics of subsidising overcapacity in several sectors, particularly steel. 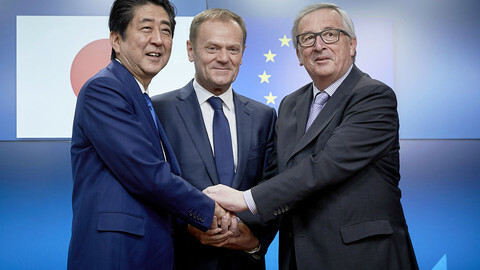 Tusk said that although the danger of isolationism lingers on, the EU-Japan deal proves it does not have to come back. "That the world really doesn't need to go a hundred years back in time,” Tusk said. 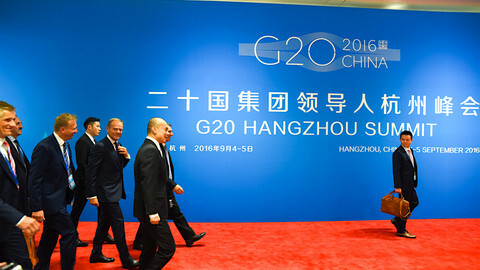 “Prior to the G20 summit in Hamburg tomorrow … we were able to demonstrate a strong political will, to the effect that the EU and Japan will hoist the flag of free trade high against protectionist trends,” Shinzo Abe told reporters. The agreement, once in force, will eliminate customs tariffs worth €1 billion for European exporters, Juncker said. 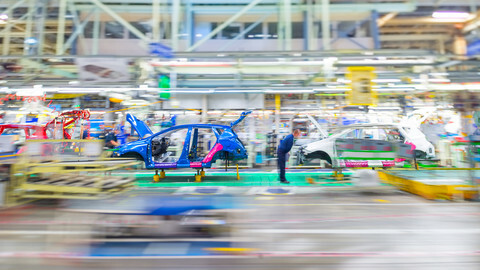 The EU commission chief also said the deal has the potential to increase European exports to Japan, now worth €80 million annually, by more than a third. Juncker said, for instance, that wine producers will save €134 million a year, and leather and shoe-manufacturers will be able to hold onto an extra €174 million annually, thanks to the deal. The agreement will be a model for the 21st century's economic order, the Japanese premier said. 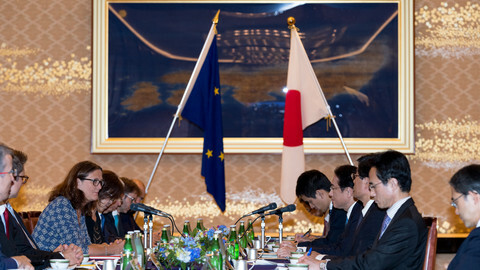 Shinzo Abe added that he hoped the agreement with the EU would have a positive effect on the early entry into force for TTP. He said he tried to explain to president Trump that TTP is not a win or lose issue, because it has a “positive advantage” for all the countries involved. However, the EU and Japan still need to agree on the legal framework for protecting investments. Negotiators hope to wrap up the issue in a few months. Juncker also referred to investor-state dispute settlement (ISDS), an ad hoc arbitration system that was widely criticised in previous deals and was eventually scrapped by the EU. Juncker said he made it clear that private tribunals have no place in deciding on matters of public interest. “We have strong and independent courts, both in EU and Japan. They will uphold the rule of law and nobody else,” the EU commission chief said. The EU has tabled a proposal to use the investment court system to settle disputes. The Japanese side, however, has a different approach, which still tends towards the ISDS system. "Both ideas are on the table. 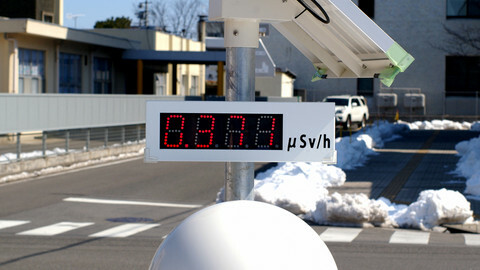 We need to see how we can narrow distance, separating positions," a Japanese spokesman told reporters after the meeting. Once negotiations on the court system are over, the free trade deal will need to be ratified by the European Parliament and the parliaments of member states. Juncker said he does not expect any difficulties during the ratification process, and said the EU aims for the deal to come into force in early 2019. On the Japanese side, however, press secretary Norio Maruyama stressed that he was "not quite sure how long it will take". He added that all will depend on details that still have to be discussed, insisting that "a huge job has to be done on the EU side." Belgium’s Wallonia region held up the ratification process for the trade deal with Canada last year, almost hindering the signing of the accord. 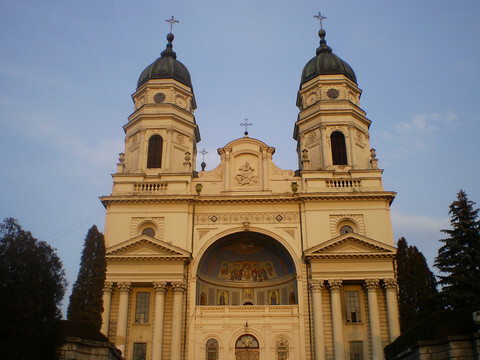 Leaders also reflected on the political context, given the looming Brexit negotiations. Tusk said the EU-Japan deal is proof that a key argument for Brexit, which stated that it is easier to achieve trade deals outside the EU, is flawed. Shinzo Abe said Japan hopes that close cooperation will be maintained between the UK and the EU. He also said Japan supports strong unity in Europe. During his discussions with Juncker and Tusk, Japan's prime minister insisted that Japanese companies present in the UK need "transparency and predictability" during the period leading up to Brexit. The leaders also called for the early adoption of a new and comprehensive UN Security Council resolution on North Korea. They strongly condemned North Korea's continued nuclear tests and ballistic missile launches. 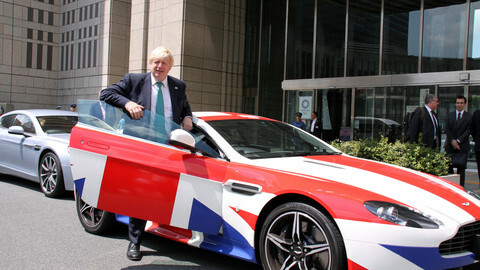 In the shadow of Brexit and the EU-Japan trade agreement, the British foreign secretary chose Japan as his first destination during a recently concluded visit to Asia.